Re-engineered with corrugated Polypropylene material from wood, this returnable demo case is significantly lighter and offers better portability with protection maximized. Simple operating procedure further raises efficiency and productivity, In addition, Sirius Portable Demo Case has also enable clients to achieve environmental sustainability while also achieving bottom-line savings. Re-engineered design/material further reduces material costs for customer without compromising performance. 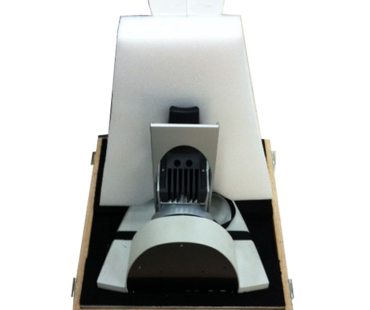 Overall weight and dimension were reduced, transforming it into a travel case that customer can check in as baggage (less than 32kg); saves on cargo freight cost. The packaging also uses less material which in turn generates less waste, thus generating huge savings on disposal. Simple packaging design further reduces handling time and only requires minimal labor. 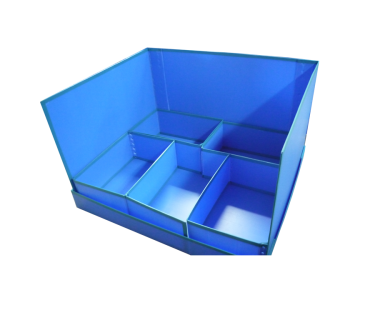 Capable of containing fully-assembled product albeit reduced size – saves assembly time for customer when they are on-site. The packaging is 60% lighter which makes it possible for hand-carrying. Smaller and lighter packaging produces minimal/lesser carbon footprint during transportation process. The packaging is also a sustainable product with its whole body made of recyclable and reusable materials. 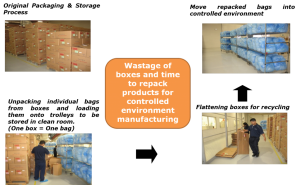 The packaging is also returnable to be used for multiple times. Created in response to the needs and stipulations of our clients whose goods required protection from the protruding nails used in conventional wooden pallets that was also not environmentally friendly. Utilizes the construction grade plywood material to meet the Eco requirements and also nail-free. 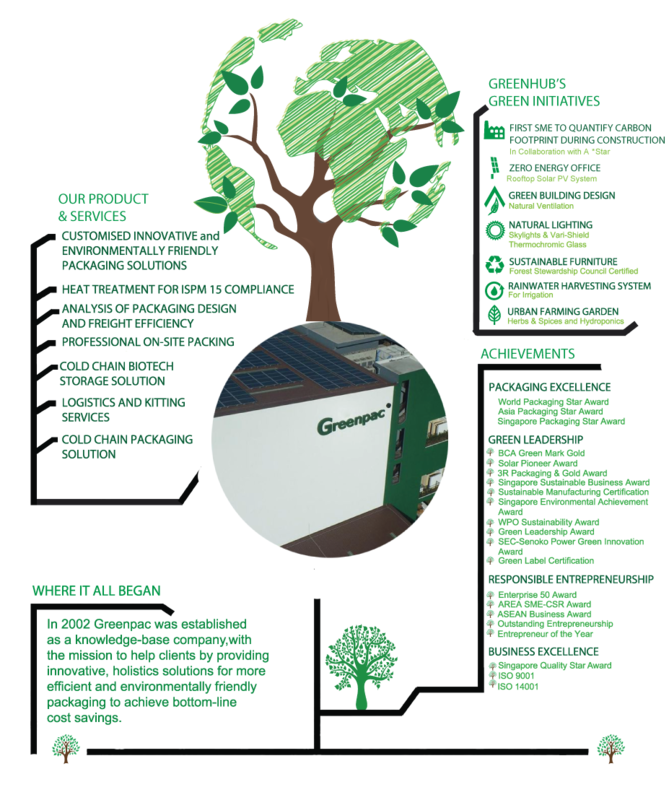 Our clients such as Siemens and other MNC’s have since adopted the RSCP™ Pallets. Reduce – Our patented design allows 20% – 60% material savings which equate to lighter weight and lead to freight cost savings. 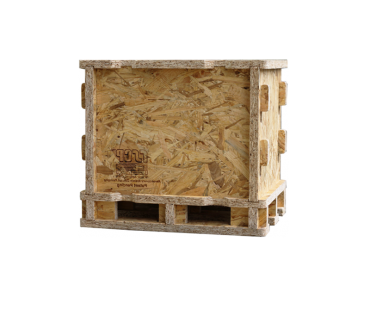 Reuse – Nothing goes to waste as the components in used RSCP™ Pallets may be modified for new components. Recycle – RSCP™ Pallets are manufactured on the singularity of material usage. This greatly eases the recycling process as no metallic fasteners were used. In compliance with the ISPM 15 as well as the ROHS. Used RSCP Pallets may immediately be recycled into Chipboard, Fiberboards or sent for energy recovery. Utilizes the Construction Grade plywood material that has excellent technical attributes such as a high load-bearing factor, dimensional stability and easy processing that makes this wood-based material universally relevant. 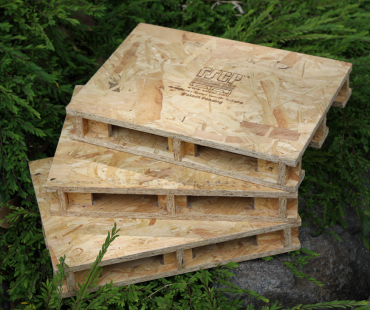 Pallets made from plywood materials are used hence reduce our carbon footprint and as such, our RSCPTM Pallets offers an environmentally-friendly solution that meets the needs of today’s eco-conscious consumers. 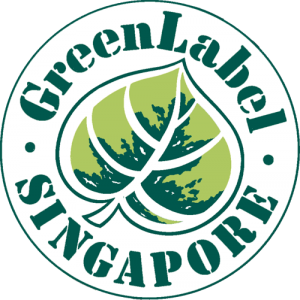 Greenpac’s Revolutionary System Concept Packaging (RSCP) is the world’s first internationally patented, nail-free interlocking packaging that uses materials sourced from “Forest Stewardship Council” forests – the only forest certification system supported by all major environmental groups. Cost effective as it utilizes 20% to 60% less materials, reducing the amount of waste created from using timber in wooden packaging. Nail-free and free from metallic fasteners as these may cause damage to goods and possess as a safety threat to workers. Compliant with global environmental import/export requirements such as ISPM15 and ROHS. Sturdy enough to withstand heavy load racking and at the same time, light in weight thus resulting in freight costs reduction. Easily dismantled and flat-packed for storage efficiency, and reassembled when in need.